BOB ABERNETHY, host: As Donald Trump takes office, there are sharp divisions among religious groups. Some people of faith are welcoming his presidency and looking forward to more conservative policies being advanced. But others are raising concerns about Trump, his appointments and his possible agenda. Many faith-based activists participated in rallies urging Trump and the Republican-dominated Congress not to repeal the Affordable Care Act. A new report from the Congressional Budget Office said repealing major provisions of the act would cost 18 million people their insurance in the first year. The US Catholic bishops this week sent a letter to the House and Senate urging lawmakers to ensure that all Americans will have access to health care. If the Affordable Care Act is repealed, the bishops said a replacement plan should be passed immediately. Immigration is another top issue of concern for the faith community. Religious leaders, advocates and immigrants held rallies in more than 70 cities across the country to protest Trump’s plan to deport millions of immigrants. They also pledged to fight against the creation of a Muslim registry. In Washington, hundreds gathered at Metropolitan AME Church. 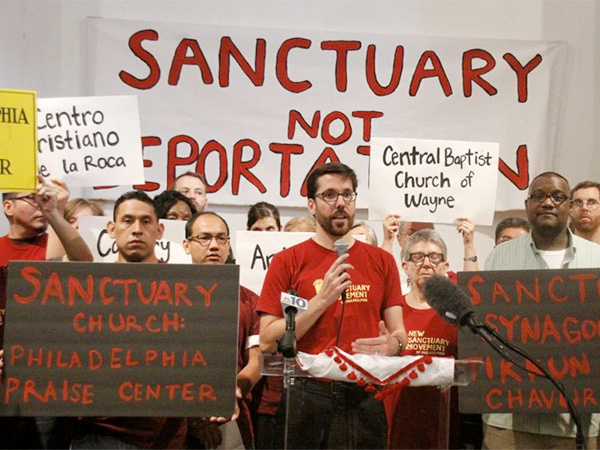 More than 800 congregations have now declared themselves sanctuaries that will protect undocumented immigrants from being deported. That’s about double the number since Election Day. Amid all the contention surrounding the inauguration, many people of faith are also demonstrating for peace and unity. 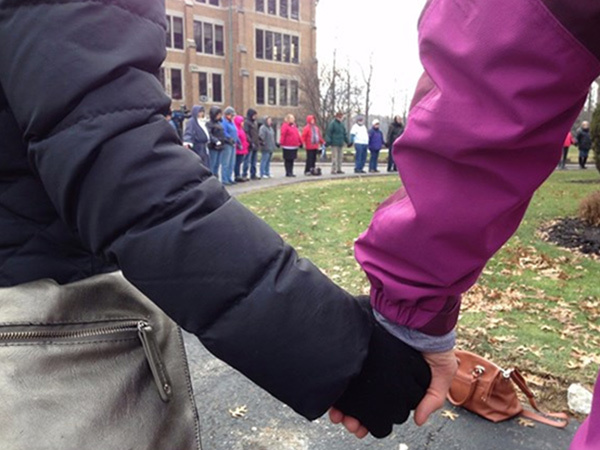 In a series of events across the nation called Circle the City with Love, people gathered and held hands in silence and prayer. The project was organized by a nun in Ohio. 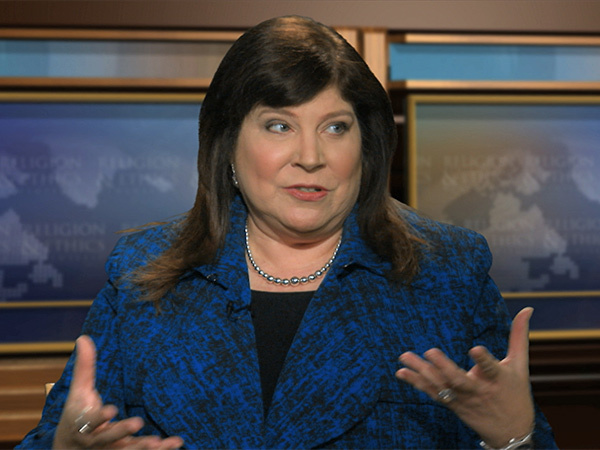 Joining me now with more about religion and the new Trump administration are Kim Lawton, managing editor of this program, Jerome Socolovsky, editor-in-chief at Religion News Service, and Stephen Schneck, director of the Institute for Policy Research & Catholic Studies at the Catholic University of America. Kim, it seems to me that this time there’s an enormous amount of grassroots activity, marches, petitions, everything. What does that mean? 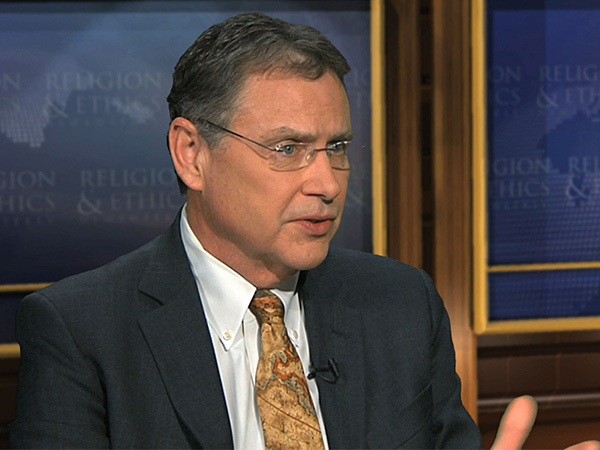 KIM LAWTON: Well, certainly, as we mentioned, there are people in the faith community, a lot of people that are supportive of the Trump administration and of Donald Trump, but there is a significant group within the faith community as well that’s very concerned and is frustrated with some of his appointments and is concerned about some of his policies. And those people are really mobilizing. We’ve heard about participation in some of the bigger marches. There have been petitions. There have been press conferences, and some calls even for civil disobedience, so there is a big mobilization of people who are trying to already express their concerns and say that they will continue to do so. We’ll see how much that enthusiasm continues, but for now they are. JEROME SOCOLOVSKY (Religion News Service): There is definitely a lot of church activism on the left here in opposition to President Trump, but at the same time we’re looking at an administration that has stronger conservative Christian influence, perhaps stronger since the Reagan era. We’re having evangelical Christians who have been appointed to the cabinet. And there was an interesting piece in Baptist News recently where Richard Land, who headed the Southern Baptist lobbying arm in Washington, said he’s been called numerous times to put forward people for this administration. ABERNETHY: What do you see, Steve? STEPHEN SCHNECK (Catholic University): To go back to Kim’s first point, I think that one of the things we’re seeing is that the churches in the United States are reflecting a broader division in the United States, so just as America in general is divided about Trump, so are churches divided, in some cases divided within the churches. So not only divided denomination against denomination, but divided even within denominations about that. And I think that that is part of the reason we’re seeing such religious interest in this inauguration and the beginning of this new presidency. ABERNETHY: Is it mainly talk and petitions and things like that, or is it going to go someplace? SCHNECK: Of course, there are calls for “holy resistance” by some on the left. 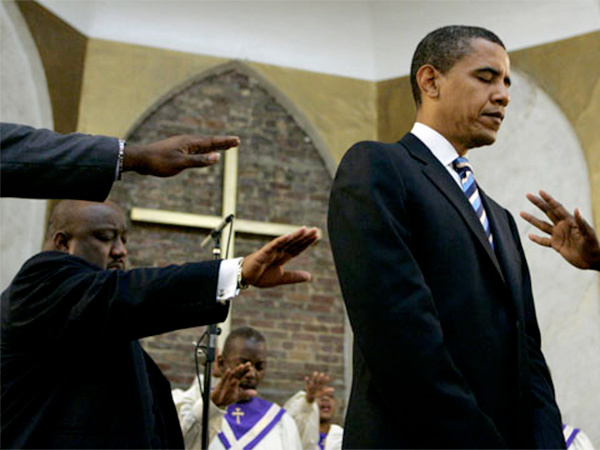 Some of the African-American churches, for example. Sojourners has made this kind of call, so I wouldn’t be surprised. In fact, I have heard that the Trump presidency could see the reemergence of a real Christian left in the United States. Maybe you’ve heard the same thing? SOCOLOVSKY: I have. The National Cathedral hosted the inaugural prayer service. The former dean, Gary Hall—he came out saying that a church that actually was built as a kind of Westminster Cathedral of the US should have a prophetic role, an oppositional role to this administration. LAWTON: You know, it’s always hard to say are these symbolic, does it have an impact? But certainly the civil rights movement was based on a lot of these public actions and efforts that ended up having a big influence on public opinion, so that’s always the open question: to what extent it is talk or to what extent it does lead to pressure on lawmakers and others. But I was going to ask Steve, because the Catholic Church in particular is seeing those big divisions you were just talking about, and I’m wondering how you see the Catholic bishops in particular navigating that relationship with the Trump administration? SCHNECK: It’s absolutely fascinating. Catholics by a very narrow margin supported Trump, but it’s interesting to look a little bit into those numbers. So 60 percent of white Catholics supported Trump, about 65 percent of Latino Catholics did not, and that kind of split is evident in our pews within the Catholic Church, and it’s certainly evident, I think, among the bishops. And so there’s, I think, a real question among the bishops themselves about how to approach this new president. I mean, we have seen some great things where they are coalescing. Just this week, for example, they came to Congress and argued, you know, for health care and for protecting those parts of the Affordable Care Act, or at least the policies, you know, that would serve America’s most vulnerable populations with health care. But there are still many parts of this administration where we’re not quite sure where the bishops are going to come down. 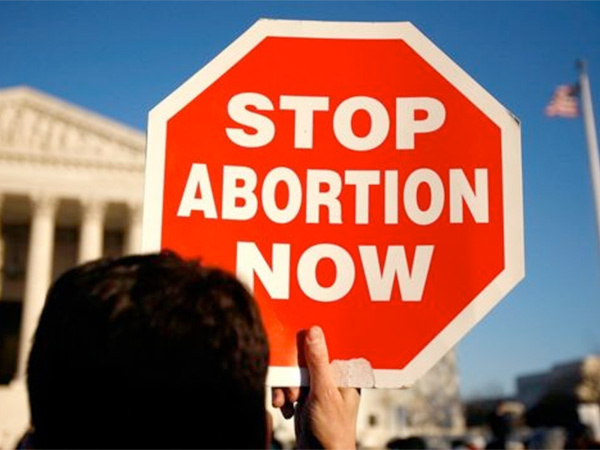 LAWTON: I’m going to be watching the abortion issue in particular, especially as the new president appoints a Supreme Court justice. And, of course, for a lot of people in the faith community, from the conservative end of the faith community that was a big election issue. I heard over and over again during the campaign season from conservative evangelicals and conservative Catholics saying, well, I don’t love Trump, but the Supreme Court and those issues around the Supreme Court are so important. t will be interesting to see the extent to which he is under pressure to nominate someone that they will be pleased with and the extent to which he does it. SOCOLOVSKY: I’ve already seen an alert put out by a Christian group about an Alabama judge who’s been mooted for the position, that he’s not really as anti-abortion as they want him to be. LAWTON: So that will be interesting to see—how they push him and how he responds to that, given what he might owe them in terms of the election. SCHNECK: I cannot imagine, though, that Trump can’t nominate a conservative judge who would be the sort to overturn Roe v. Wade. I mean, that is the expectation of his base. I just can’t see that he could not do that. ABERNETHY: There a few indications of some civil disobedience, I think, too. For instance, the police chiefs who have said, if you come and want me to go and round up immigrants I’m just not going to do it. SOCOLOVSKY: We have the sanctuary church movement—churches that are saying they’re going to refuse to comply with roundups of immigrants. I think it will also be interesting to look at if the Affordable—well, perhaps when the Affordable Care Act is repealed and something replaces it. I’ve already seen dissent or warnings from within evangelical circles about how that’s going to affect pastors of small churches who are actually really small entrepreneurs. Ed Stetzer from Wheaton College had a good piece about it. They’re actually going to lose coverage. LAWTON: And, again, I think that’s where seeing some of these religious communities voicing their opinion and being out there. They are, in ways, to a certain extent it’s the usual suspects, the left and the right. But on some of these issues there is more complicated maneuverings. So, for example, on immigration the sanctuary movement of a few decades ago was clearly on the religious left. Now you have a lot more evangelicals concerned about the immigration issue. 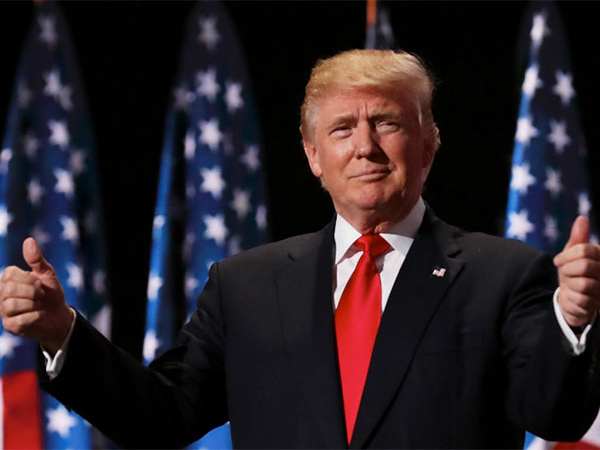 Now I haven’t seen them all lining up to be sanctuaries, but you hear more conservative evangelicals speaking out on the issue of immigration, and some of them have already been meeting with Donald Trump about that issue and trying to urge him to moderate some of the statements that he made during the campaign season. SCHNECK: You mentioned the bishops before. 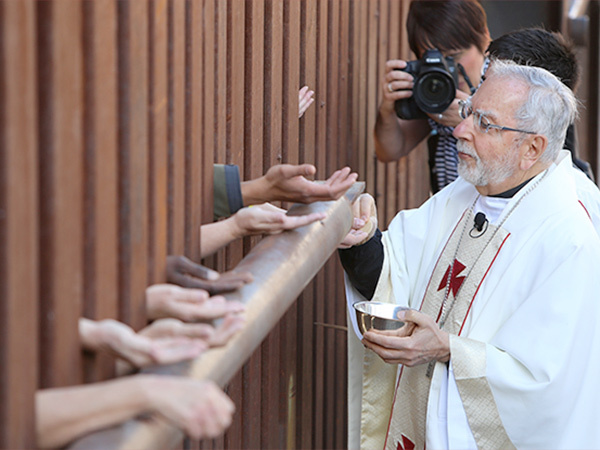 I think one of the things that’s going to unite every Catholic bishop in the United States is the immigration issue. So whatever other differences there are, and there are many in regards to this presidency, the issue of immigration is going to be one that you’re going to see the bishops pretty much in lockstep in their concern about what’s happening to immigrants in the United States. SOCOLOVSKY: Let’s not forget that immigrants are good for churches, are good for both Catholic and evangelical. They really form the rank and file in many churches. ABERNETHY: You were talking earlier about the cabinet picks. Do evangelicals and others expect to have a much greater influence on the president now than they have in recent years? SOCOLOVSKY: I think they’re expecting that through Mike Pence they’ll have a greater influence on policy. Certainly, we have on record what they’ve said in the past about things like school vouchers, climate change, things like that. As to whether the president will moderate that or, you know, tell them to have a different policy than what they’ve said they would—that remains to be seen. But certainly it will be something to look at. LAWTON: It’s interesting, because during the eight years of the Obama administration there were certain religious people that had a lot of access to the White House and for all these events. And so I’ll be watching to see who is the Trump White House’s religious liaison, and the religious leaders who come in there. And I think it’s not going to be the same people. So that will be sort of interesting. I’ve heard from some people, religious leaders on the left, who said, for example, at Hanukah, when Jewish leaders said, well, this may be my last visit to the White House for a while. So, you know, we’re in for a change in terms of religion and politics here. 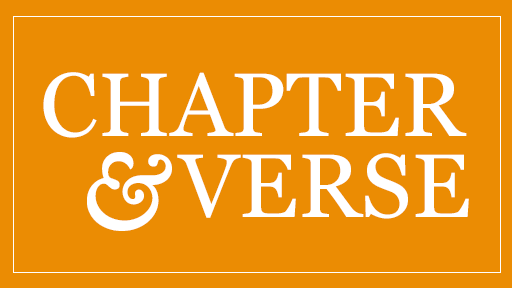 ABERNETHY: Many thanks to Kim Lawton of this program, to Jerome Socolovsky of Religion News Service, and to Stephen Schneck of the Catholic University. As Donald Trump takes office, faith-based groups continue speaking out. Some are supporting him and urging him to take up their issues. Others are raising strong concerns about Trump’s appointments, statements and potential policies. 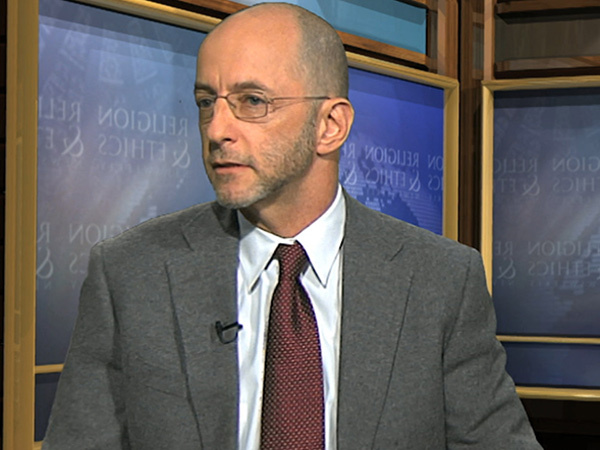 Host Bob Abernethy talks about religion and the new administration with R&E managing editor Kim Lawton, Religion News Service editor-in-chief Jerome Socolovsky, and Stephen Schneck, director of the Institute for Policy Research & Catholic Studies at the Catholic University of America.